Corporate groundbreaking ceremonies are common in many cultures. It’s a tradition that brings together business and civic leaders who dig shovels in the ground to signify the beginning of construction. Charlotte County held an important groundbreaking on December 5th as Amigo Pallets, Inc. broke ground for a new 16,000 sq. ft. warehouse at 8429 Northrup Road. The building is scheduled to open in August 2019. Other County Commissioners included Chris Constance and Stephen R. Deutsch. Mayor Nancy Prafke and Vice Mayor Lynne Matthews represented the City of Punta Gorda, along with City Council member Jaha Cummings. Wendy Atkinson was present for the Charlotte County School Board and CEO James Parish represented the Charlotte County Airport Authority. 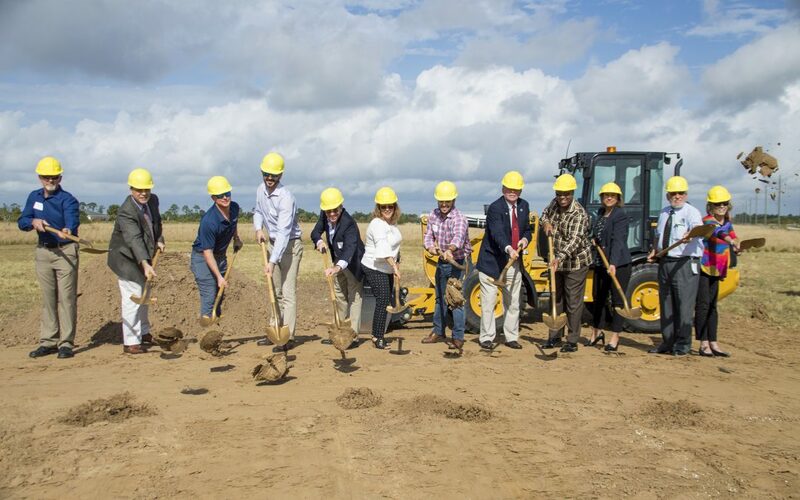 On behalf of the Charlotte County Economic Development Partnership, we hope to see many more groundbreaking ceremonies in 2019! © 2019 The Charlotte County Economic Development Partnership. All rights reserved. Site designed by Marketing Alliance, Inc.